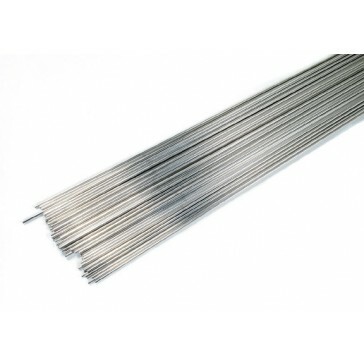 Aluminium TIG welding rod, 5% silicon, for aluminium and magnesium welding. 5% Magnesium containing aluminium welding rod for GTA (TIG) welding of Al-Mg alloys and Al-Mg-Si alloys. Very good corrosion resistance especially in sea water. AWS, ABS, CWB, Lloyd’s Register, Germanischer Lloyd’s, DNV, TUV, DB.